Together, we're for New York. Dr. Roscoe C. Brown Jr., the New York City veteran who flew with the legendary Tuskegee Airmen in World War II, has died at the age of 94. 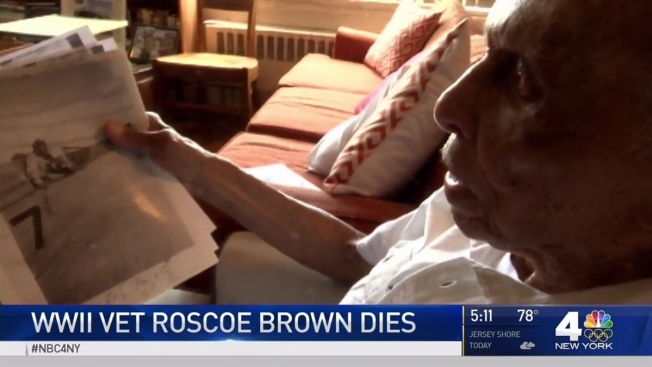 Brown died Saturday at a hospital in the Bornx after breaking his hip in a recent fall, his granddaughter Lisa Bodine said. Mayor Bill de Blasio has ordered all flags to fly at half-staff until Saturday in Brown's honor. Brown flew 68 combat missions for the Tuskegee Airmen, the first African-American pilots in U.S. history. A nine-time New York City Marathon runner and lifelong Jets and Mets fan, he told NBC 4 New York in May: "Fighter pilots are like athletes. And I was a pretty good pilot." On this Memorial Day, we sat down with a World War II Veteran and Tuskegee Airman who is overcoming a life threatening condition. John Chandler reports. In 2007, Brown and five other airmen accepted the Congressional Gold Medal on behalf of the Tuskegee Airmen. President George W. Bush and Congress awarded the airmen with one of the nation's highest honors for fighting to defend their country even as they faced bigotry at home. Brown, who held a Ph.D. in education, also served 17 years as president of Bronx Community College. Brown later joined the CUNY Graduate Center as professor and director of the Center for Urban Education Policy. He also hosted "African American Legends," a public affairs show on CUNY TV. Brown fell critically ill over the winter and had a pacemaker installed at Montefiore Medical Center. His physician, Dr. Daniel Sims, told NBC 4 New York in May, "If he wasn’t as healthy and in such great shape, he probably wouldn’t have made it through this." As World War II raged overseas, the nation's first black aviation unit was flying high above the color barrier. For all we've heard about the Tuskegee Airmen over the years, there are untold stories about their battles. 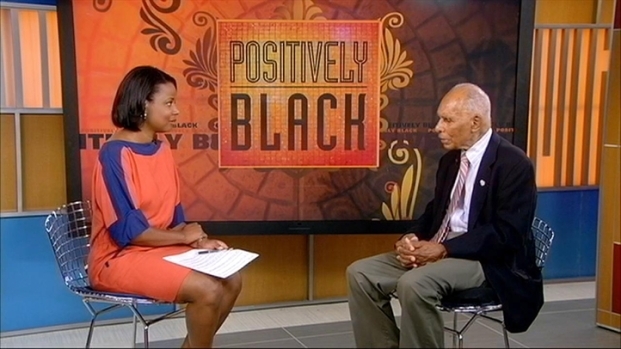 Tracie Strahan heard the tales from Roscoe Brown Jr. in this edition of Positively Black. "Most 94-year-olds are not this active, but Dr. Brown is just remarkable," he said. Brown was trying to ease back into exercise when NBC 4 New York caught up with him in May. 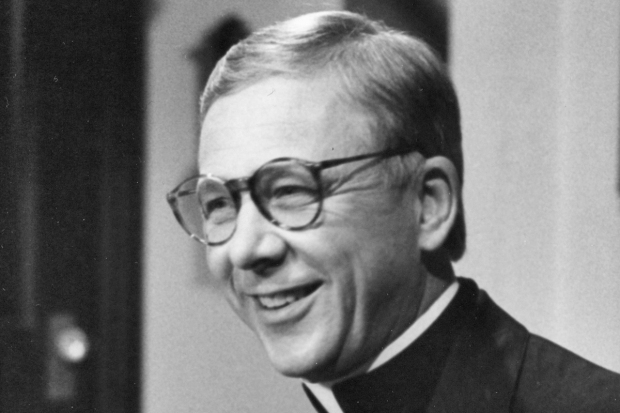 "As I got older, I tried to do a lot more than my body would accept," he admitted. On March 15, 1945, Brown was part of the longest mission flown by the Air Force in World War II. He flew 1,500 miles from southern Italy to Berlin to take on a group of German jets. He shot down one of the German planes and he had a vivid memory of buzzing his home base as he and other pilots celebrated their triumph when they returned. "I was a kid, 23 years old," Brown recalled to NBC 4 New York's Gabe Pressman in 2009, as he prepared to march in the Inauguration Day Parade for President Barack Obama. "And we were, like all pilots, a fun-loving, happy go lucky group." Nearly 1,000 fighter pilots trained as a segregated Army Air Corps unit at the Tuskegee, Alabama, air base. Not allowed to practice or fight with their white counterparts, the Tuskegee Airmen distinguished themselves by painting the tails of their airplanes red, which led to them becoming known as the "Red Tails." Their story was told in a 2012 movie of the same name, on which Brown was an adviser. "Young people don't totally understand," Brown told NBC 4 New York's Tracie Strahan in 2011, noting that The Civil War had only happened about 70 years before World War II. "I didn't understand the brutality of the Civil War, but when I was a Tuskegee Airman, I knew that I was good, I knew that I had to challenge the system, and I loved to fly." "My message to young people is to keep on working," he continued. "You've got to be better, you've got to be disclipined, you've gotta believe. And if you believe you can overcome, you can overcome. That's the story of the Tuskegee Airmen."